Craig is a trained drama therapist and has worked in acute mental health units in London and Devon in both OT and music therapy departments. 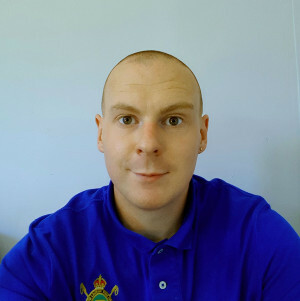 Craig has also studied systemic family therapy and IAPT supervision at Exeter and Plymouth Universities to post graduate certificate level. 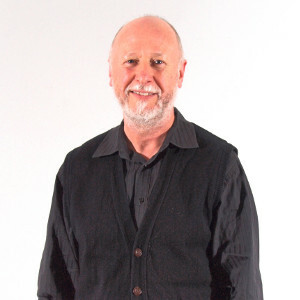 His background in therapeutic work has informed his practice not only in supervision and management but also in roles over the last 12 years as a family support worker, attendance officer, solution focused coach and adolescent support worker. Craig has been a practice manager in children's services for the last 4 years, supervising workers who undertake direct work with troubled families. He has also supervised the parenting group programme in Torbay and the IAPT project. Bianca has previously worked for Torbay Council in the Early Intervention team for six years, coordinating and planning parenting programmes. During this time, Bianca worked directly with the strategic lead for parenting to develop the parenting programme project from the start. 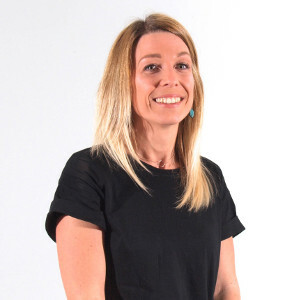 Bianca's role is mainly to ensure that the day to day running of our social enterprise goes smoothly, project managing, the lead on finance and strategic marketing. Bianca is often the first point of contact for parents/carers and professionals enquiring about a service. Nicola has worked as a family support worker for over 12 years for both voluntary and statutory agencies. Nicola's work has enabled her to work with families of varying degree of need from low level signposting to those with Child Protection Plans. 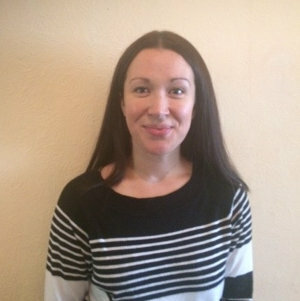 Nicola obtained a BA degree in Early Childhood Studies in 2004, Supporting Families with Multiple and Complex Needs (level 4) in 2011 and a Postgraduate Diploma in Evidence Based Psychological Therapies for Children, Young People and Families in 2013 and she is trained to facilitate parenting programmes (Incredible Years, Triple P and Nurure). "I have found my passion in supporting parents with children who present with challenging behaviour and working with parents on how they can support thier child." 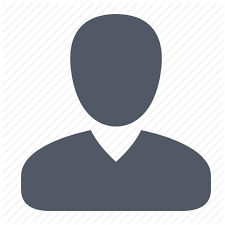 Dave is a qualified and registered with HCPC Social Worker with 34 years experience. 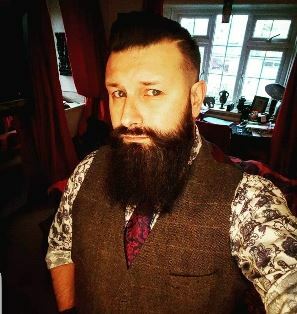 He has been a manager for 25 years, 16 of which have been in Family Centre and Children's Centre-based child protection, community development and family support services in the Voluntary Sector, and 9 years in Local Authority management positions. 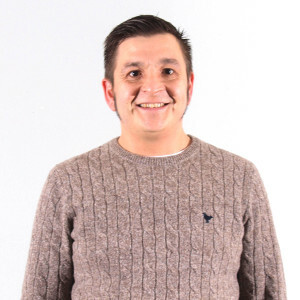 Dave has 17 years' experience in social work and and family support services in 4 Local Authorities, including four years as an Approved Social Worker under the Mental Health Act 1983. Since March 2014 he has been part of the development Team at SWFV. I have recently joined the team doing business support after taking a 4 year career break to raise a family. In my previous life, I worked for 5 years in business support for Torbay Council's Early Intervention Service and I’m looking forward to reviving my old skills and learning new ones at SWFV. Steph has a degree in Education Studies and has worked as the Attendance Officer for Torbay Childrens Services for 7.5 years. She has extensive knowledge of the legislation behind ensuring all children are educated and have experience of attending court. Prior to this, Steph was a family support worker, supporting families in Devon with complex needs, running parenting courses and activity groups for children. Steph has a lot of experience of working with children and families and enjoy working closely with schools to improve outcomes for all. Steph is passionate about improving the attendance of children and young people and strives to ensure that the schools she works with have improved overall attendance and improved processes. Natalie has a degree in Childhood and Youth Studies and has most recently been working in a local primary school in a Family Support and Safeguarding role. In 2011 Natalie worked as an Attendance Improvement Officer for Torbay Children’s Services working with local schools and families across the Bay to improve attendance and outcomes for children. As part of this Natalie is trained in the Triple P Parenting Programme and has also run groups for families where their children are facing permanent exclusion from school. Following graduating in 2006 Natalie worked for 5 years in a local family centre where she supported children and conducted intensive parenting assessments working in the family court arena. Natalie has also completed training programmes including courses on direct work with children and attachment. Natalie has a lot of experience working both in local authority and educational settings having worked with children with additional needs in a Special School in Torquay. Natalie is passionate about working with children and their families to ensure positive outcomes both academically, socially and emotionally and believes that early intervention where possible, should be a priority. Cassie has recently joined the team after spending the past six years working in Children's Services, most recently working as part of the Family Intervention Team, supporting families with multiple and complex needs. Cassie is trained in Thrive, Triple P and Solution Focussed Brief Therapy and also has her level 3 Forest School qualification. Cassie has previously worked in male and female refuges supporting the children of parents who have been victims of domestic abuse and residential support placements for children with educational and behavioural difficulties. 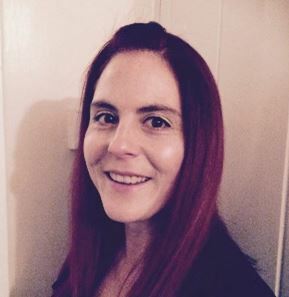 Louise joined the SWFV team two years ago as a family support worker in four schools. 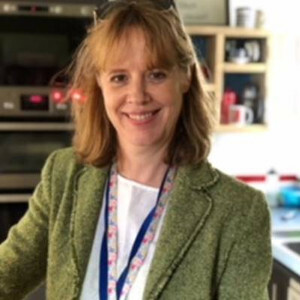 As part of her role, Louise runs various school holiday projects such as forest school and family cooking sessions which you can read about in the projects page or in one of Louise’s blogs. Louise started working with children as a Registered Childminder back in 1995 after having her own children. After qualifying as a Nursery Nurse in 2002 she started supporting young children within a Primary School Nursery. 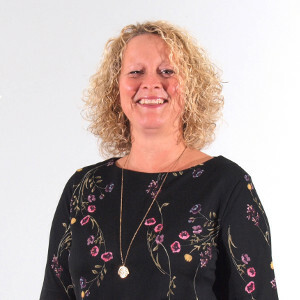 From there she moved into Children Services and took on the role as a Childminding Development Worker, where she supported Registered and Accredited Childminders ensuring their provision and support for children was in line with Ofsted expectation. Throughout this time Louise continued with her own professional development and was able to accept a post within the Family Intervention Project within the Safer Community Team of Torbay Council, meaning she was supporting some of our most vulnerable families within Torbay. Louise then moved across into the Family Support Team supporting children and families in the family homes/ schools and local environments enabling the best outcomes for the whole family. More recently Louise has been based in a local Primary School Parenting and Pastoral Support Worker and Attendance Improvement Officer, supporting families and children with their own specific needs whether it be children's challenging behaviours, domestic abuse, personal health and hygiene or parenting. Within this role Louise pulled on her experience and created and developed various groups for children and families within the school such as supporting children who have witnessed domestic abuse or are vulnerable in the community, monthly music groups and crafty coffee mornings for parents and tots. Louise has also been working very closely with The School Nurse Team and PCSOs. CTLLs trained Louise created her own 4 week parenting workshop taking into account her own Thrive and Nurture knowledge and experience. Louise is Forest School trained and has worked closely with Coast and Countryside Trust, so was able to offer children and families Forest School and Sea School type sessions, using our beautiful and diverse natural environments we're so lucky to have in Torbay. 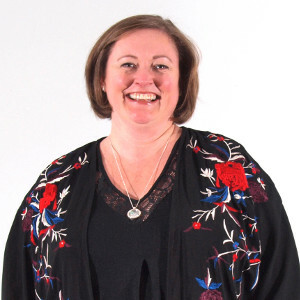 Thrive and Nurture trained, Louise believes to enable children and families to thrive and achieve its paramount for their emotional needs to be met first. Andrea has been working with children and young people since 2001, when she became a volunteer with Torbay young offenders. In 2003, she became a foster carer, supporting children and young people who presented with complex behavioural issues. In 2008 she joined Torbay as part of the Early Intervention Team, as a family support worker, and from this progressed on to become an attendance Improvement Officer. Andrea is skilled in building and maintaining positive working relationships with families and children. She likes to consider the needs of the whole family when working, and to build honest and productive relationships, enabling them to discover ways of change and to provide consistent care for their children. She can provide practical hands on support for those that she works with, and believes that they have the ability and the answers to their family needs. "I believe in the individual's ability to bring about change, with the correct support. I encourage parents to look at their own life experiences, and to understand how this may influence their parenting style." 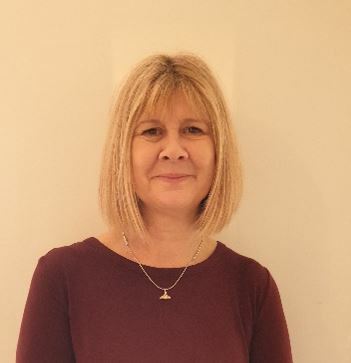 Sue is a qualified counsellor who has counselled both adults and children at GP surgeries and a Children’s Society project, prior to becoming a family support worker. Sue became a family support worker initially with Surestart where she specialised in working with families affected by domestic abuse. Sue continued this work with both Torbay Children’s Services and Action for Children, where her work ranged from early intervention for lesser behavioural issues or advice through to child protection. Sue also has vast amount of voluntary work including five years as a school governor. Sue is qualified in Triple P and Thrive but is most proud of piloting the Nurture Programme in Torbay. Sue took a break from working with families to train and qualify as a reflexologist, giving treatments to veterans through the Help for Heroes charity-a very humbling and insightful time. Sue is happy to be returning to her area of work and alongside her role with South West Family Values will also be completing a post graduate course at Exeter University. Sue brings a wealth of experience and feels that her counselling experience and skills under pins all of her work. 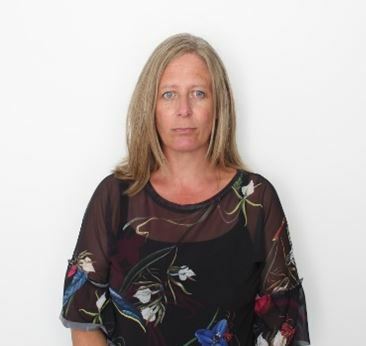 Tracey has recently joined the team and she brings a wealth of experience and skills which we are delighted to have in South West Family Values. She spent ten years working in NHS management in some of the most challenging areas of London before taking a career break to raise her children. More recently Tracey took on the role of Safeguarding co-ordinator at St Cuthbert Mayne School and managed the attendance and pastoral team. This role helped Tracey develop a real understanding of the challenges faced by parents and children today, and the central role that schools are now expected to take. Alex will be joining SWFV as a trainee Parenting Therapist, undertaking the IAPT Programme at Exeter University. Alex was previously a CAHMS support worker in a mental health hospital, responsible for high level observations and following care plans. Alex worked closely with patients on the psychiatric intensive care unit (PICU), each young person had differing abilities understanding and language, many of whom displayed challenging behaviour. Alex quickly learned to be creative and found the use of distraction methods such as art and music invaluable. Alex is passionate about providing care and support to vulnerable people. She has a completely non-judgemental approach and the ability to express and feel empathy. This has been further enhanced through her Sociology degree and voluntary work, in particular while volunteering with families and young people. Alex has experience working with young mums, young families and young people in general. She has completed safeguarding and risk assessment training, the most recent course was Safeguarding Level 3 with the NSPCC. Alex possess the care and compassion which are essential for Parenting Therapy, along with a friendly, outgoing personality. 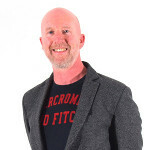 Mark has been working with children and families for 17 years and has worked as a Family Practitioner for both Children’s Services, schools and Early Years settings. Most recently Mark has lead Family Support and attendance teams across a number of schools showing significant impact from these roles for children families, schools and communities. Mark is a Family practitioner with an interest in Systemic Family Practice, Attachment and holistic interventions. Mark has completed a Foundation Degree in Systemic Family Therapy and is accredited to deliver Triple P Parenting, Incredible Years and Supporting Children with Conduct Disorders (HNC) and is currently completing the Children and Young Peoples Improving Access to Psychological Therapies (CYP IAPT) PG Dip. Mark has implemented and continues to lead the Torbay’s Family Support Network which offers support and opportunities for all early interventionalists who are based in schools across both Torbay and Devon. Mark has been working in partnership with Torbay Safeguarding Children’s Board (TSCB) and is part Early Help training team for TSCB and Torbay Children’s Services. Mark has experience in implementing community based interventions and working with stakeholders and partners to set up projects which meet the needs of children, young people, families, schools and communities. Mark has been involved in developing early intervention programs in Torbay relating to Understanding Children’s Mental Health and Child Sexual Exploitation. Martin has joined the team after spending nearly 9 years supporting adults with complex mental health needs. As well as having knowledge in mental health, Martin has trained in counselling and in the substance misuse field. He is especially looking forward to using his skills and knowledge to work alongside children and young people. Hi, I’m Charlotte Robertson, family support worker for SWFV. I have worked supporting families for several years and have a specialist interest in working with children with Autism and sensory impairment. I have been working at Honeylands Specialist Child Assessment Centre in Exeter, this has developed my knowledge and skills of working with children with additional needs and the wider teams. I am excited to get started in this new post and hope that my skills will offer tailored support to meet the needs of families accessing the service. Andrea has recently joined SWFV as a Trainee Parenting Therapist, beginning the CYP IAPT Post Graduate Diploma Programme at Exeter University in January 2019. Prior to graduating with a Psychology and Sociology degree, she supported parents and children at the local Children’s Centre organising, developing and implementing various activities, including stay and play sessions, baby massage, baby sign language, breastfeeding and weaning support, healthy eating and cooking classes and personal development. 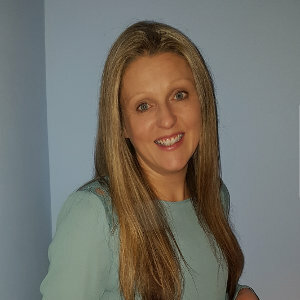 After extensive safeguarding training and ongoing support, she was able to develop and manage two support groups with one for lone-parents which facilitated weekly peer to peer support, followed by a group which was set up in collaboration with the NHS to support the parents of premature babies. Andrea has a proactive approach and is looking forward to using her varied experience and emotional intelligence to provide support to families whatever their circumstance or need. 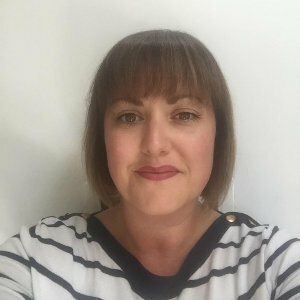 She is passionate about delivering a collaborative support structure that can raise awareness of the effect positive choices can have on health and wellbeing and encourages people to move forward. My journey to the South West Family Values team has been a convoluted one, but it has allowed me to gain a broad experience base from which to work alongside and support children and young people. 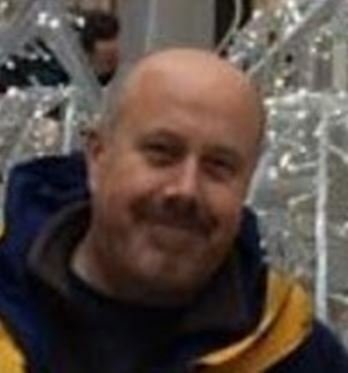 Following a 24 year career, as a Medic, in the Royal Navy I made the switch to teaching, achieving a First Class Honours Degree in Education Studies from the University of Brighton. During my careers in both medicine and education, I have had the opportunity to work with individuals suffering from a range of mental health issues from low mood, self-esteem and anxiety problems to Post Traumatic Stress Disorders and severely debilitating mental and physical health issues. Whilst working in teaching, I noted many of the struggles that children are facing every day, both at home and at school, and recognised how this was affecting, not only their learning, but their day to day lives and physical well being. As a result, I am extremely pleased to be given the opportunity to move into the Mental Health field in order to continue to support children and young people in an effort to get them back onto the right track to learning, progressing and leading happy, fulfilling lives. After a background in family law, Emily retrained as a counsellor. Whilst undergoing this training, she worked in a local preschool and also provided counselling services for parents at a local children’s centre. Emily has had a private counselling practice in Exeter for the last two years. She has also worked as a specialist mental health mentor, supporting students at both Exeter and Plymouth University. She looks forward to starting her new role. Between working on adventure playgrounds in Westminster, I trained as a teacher before managing a youth centre in Covent Garden and community-based youth work in Leyton. I trained as a youth counsellor and supervisor, relocating to Torquay to set up the young peoples’ support and information service. I was privileged to lead the team of youth workers in Torquay before joining Torbay’s CAF Mentor Team, helping to establish coordinated multi-agency services for children with additional needs. I have a strong record in school-based counselling and student support allied to delivering support services for parents. More recently a couples & relationship counsellor, I have also worked in local adult and CAMHS units. Emma is a qualified Primary School Teacher and has been working with children and families since qualifying in 2001. Throughout her time as a teacher, Emma worked closely with children of all abilities and backgrounds ensuring the environment in which the children learn and thrive in is a secure and happy place, allowing them to reach their maximum potential. Having also worked in a welfare role for the British Military in Belgium, Emma provided advice and support to new families, in what can be a difficult transition, relocating to a new country and school environment. Her ability to communicate empathetically, offering support and guidance when needed, has ensured that strong bonds are formed with both children and parents resulting in improved outcomes for all. Emma believes that early intervention, where identifying little changes has the potential to produce maximum benefits, is crucial when assisting children and their families.